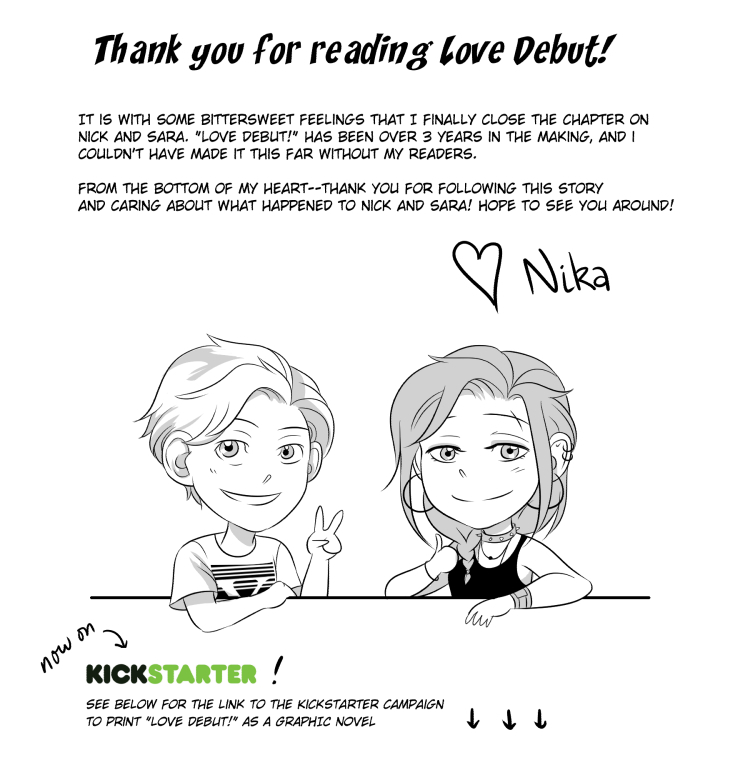 Page 199 - Love Debut! Going to miss Nick and Sara? 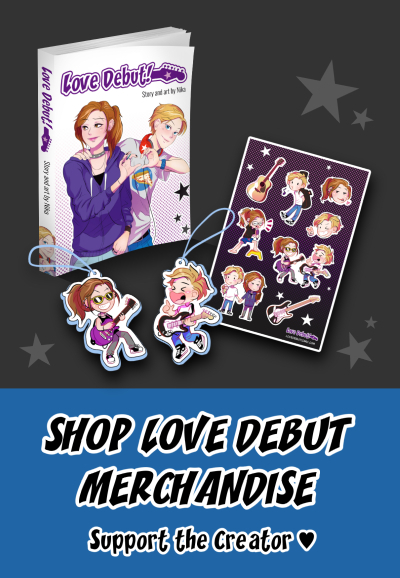 This doesn’t have to be goodbye yet — check out the “Love Debut!” Kickstarter to get the graphic novel + bonus material! I’ve got some projects in the works that will be fairly different — finishing up another comic short, editing a short novel that I wrote a couple years ago, and working on an anthology. If you want to follow along, best way is to join me on Twitter @onelemonylime!